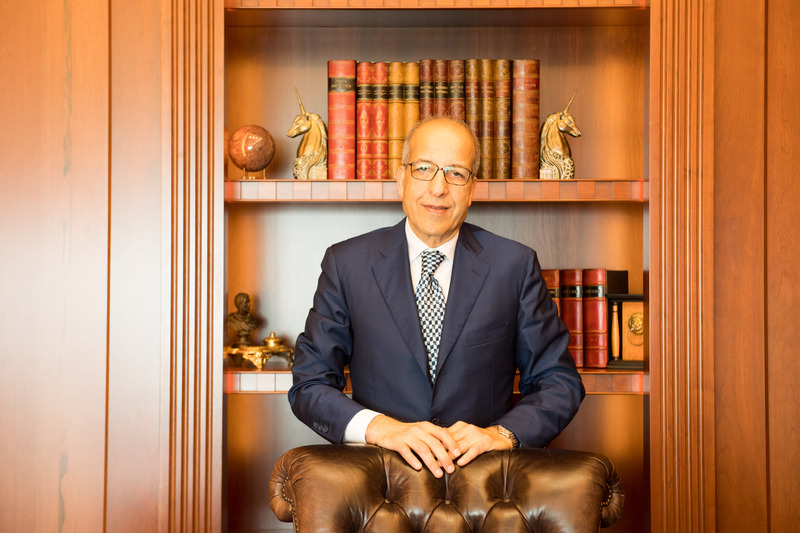 Consolidated net profit, attributable to the shareholders of the parent, for the year 2018 was US$202 million, 5 percent higher compared to US$193 million reported for the previous year. The improvement reflects stronger operating performance, which absorbed continuing investment into the Group’s strategy, against a context of mixed external conditions. Profit before Taxation was US$264 million, 15 percent lower compared to US$311 million in 2017, but normalizes to a positive 1 percent growth, after adjusting for effects of foreign currency hedging transactions in Banco ABC Brasil (“BAB”) (which have an offsetting tax charge impact), and other one-off non-core items. 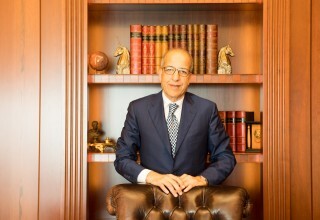 On a headline basis, total operating income was US$817 million, 6 percent lower compared to US$869 million reported for last year but normalizes to US$866 vs US$868 million respectively, after adjustments as mentioned above, and also being somewhat reduced by FX depreciation of the Brazilian Real (“BRL”) against USD in particular. Earnings per share for the year was US$0.07 compared to US$0.06 from the previous year. 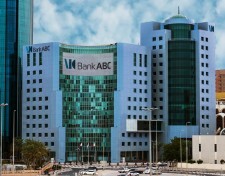 Operating expenses were at US$474 million, US$12 million or 2.6 percent higher than last year, mainly due to continuing investment costs into new geographies and strategic initiatives to reshape the Bank, such as digitization and Wholesale Bank transformation, offset by cost rationalization and the effect of FX depreciation. Impairment charges for the year were US$79 million compared with the US$96 million reported during last year and are largely in line with our expectations for cost of credit, assisted in particular by improvement in operating conditions in Brazil. Impairment charges for the year are computed on IFRS 9 basis covering the entire portfolio. Ratio of impaired loans to gross loans increased by 0.5 percent to 4.0 percent compared to 2017 year-end levels of 3.5 percent, reflecting the mixed external conditions, but normalizes to 3.1 percent, when long-standing legacy fully provided loans are adjusted for. Aggregate provisions coverage against the aggregate impaired exposures remained comfortable at 100.7 percent. Tax charge is US$16 million, compared to the charge of US$58 million for 2017 (the variance largely arising from the tax treatment of currency hedges in BAB noted above). Effective tax charge remains at comparable levels, after adjusting for the currency impact noted above. Total comprehensive income attributable to the shareholders of the parent was US$57 million, compared to US$198 million reported in 2017, primarily due to FX depreciation of BRL impacting the Foreign exchange translation adjustments in equity. Consolidated net profit, attributable to the shareholders of the parent, for last quarter was US$43 million, 2 percent more compared to US$42 million in the last quarter of YE17. Profit before Taxation for the quarter was US$86 million, an increase of 34 percent compared to US$64 million in Q4 2017 and neutralizes to $77 million for both periods, after adjusting for effects of foreign currency hedging transactions in BAB, which have an offsetting tax charge impact. On a headline basis, total operating income was US$225 million, 4 percent higher compared to US$216 million reported for the same period last year, and normalizes to 6 percent decrease year on year, after adjustment as mentioned above. Operating expenses were at US$122 million, US$1 million lower than last year. Impairment provisions for the last quarter at $17 million was lower by 41 percent when compared with the last quarter of the previous year at $29 million, which as noted above, was largely as a result of improving operating conditions in Brazil. Total comprehensive income attributable to the shareholders of the parent was US$33 million compared to US$2 million reported for the same period of 2017. Earnings per share for the quarter was US$0.01 at similar levels as in the last quarter of the previous year. Total assets stood at US$29.55 billion at the end of 2018, compared to US$29.50 billion at the 2017 year-end, again affected by FX depreciation. Deposits at the end of the year were US$20.7 billion higher than the US$20.2 billion at 2017 year-end. Equity attributable to the shareholders of the parent was at US$3,862 million compared to US$ 3,930 million at 31 December 2017, reflecting a 2 percent decrease and impacted by foreign exchange movements on investments in subsidiaries, 2017 dividend, fair value changes and adoption of IFRS 9, which to some extent was offset by the net profit for the year. Liquidity ratios strong with LCR and NSFR on a Basel III basis exceeding 100 percent with comfortable buffer and liquid assets to deposits ratio healthy at 56 percent. Capital Ratios strong: Tier 1 17.2 percent and total capital adequacy ratio (CAR) 18.2 percent. On this occasion, the Board of Directors recommend, for approval at the Annual General Meeting to be held on 24 March 2019 in Bahrain, a cash dividend distribution of 3 percent (US$0.03 per share, net of treasury shares), amounting to US$92,934,000 and translating to approximately 46 percent of the net profit for the year, attributable to the shareholders of the parent. 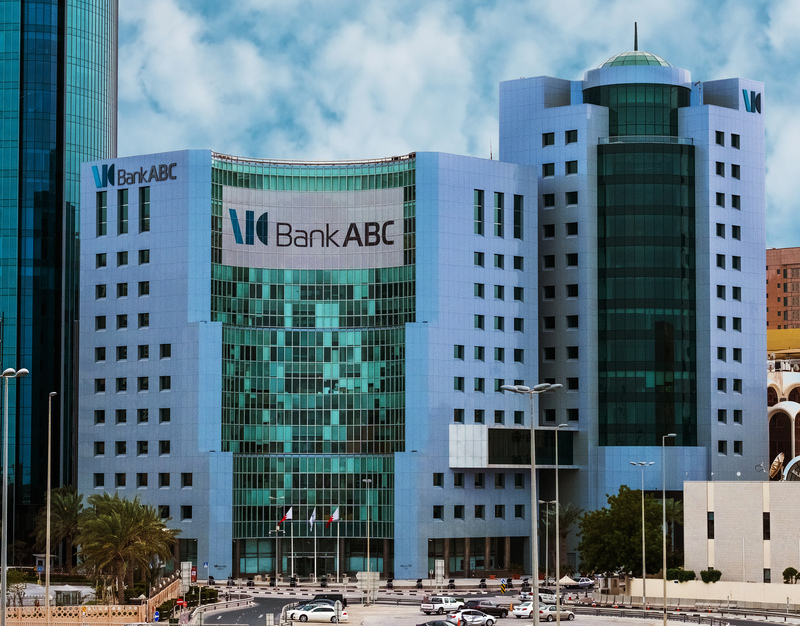 Bank ABC is a leading player in the region’s banking industry and provides innovative wholesale financial products and services that include corporate banking, trade finance, project and structured finance, syndications, treasury products and Islamic banking. It also provides retail banking services through its network of retail banks in Jordan, Egypt, Tunisia and Algeria. The full set of the financial statements and the press release are available on Bahrain Bourse’ website. 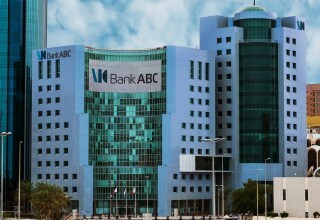 Bank ABC is an international bank headquartered in Manama, Kingdom of Bahrain. Our network spreads across five continents, covering countries in the Middle East, North Africa, Europe, the Americas and Asia.